A view over the southern end of the Sound of Islay from Brosdale/Jura House on Jura. Am Fraoch Eilean on the right hand side of the sound. McArthur’s Head with the lighthouse towards the left next to the steep dark cliffs. 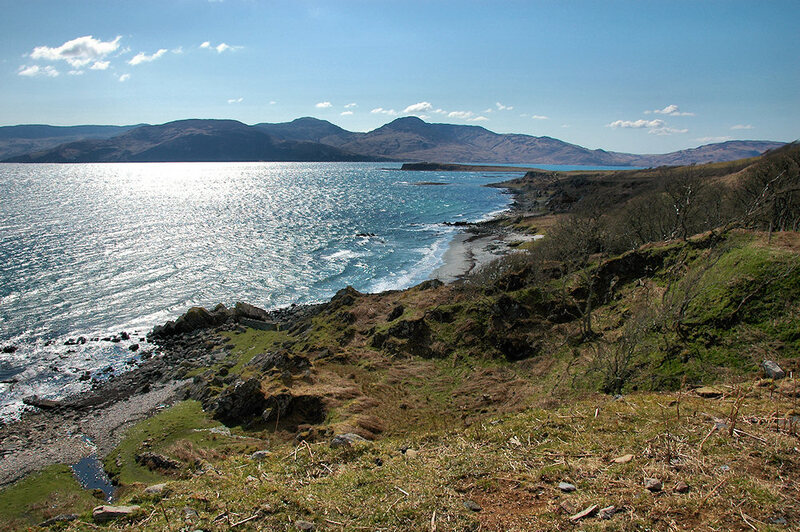 This entry was posted in Beaches, Jura Excursion, Landscape, Lighthouses, Repost, Sunny Weather and tagged Am Fraoch Eilean, Islay, Jura, McArthurs Head, Sound of Islay by Armin Grewe. Bookmark the permalink.